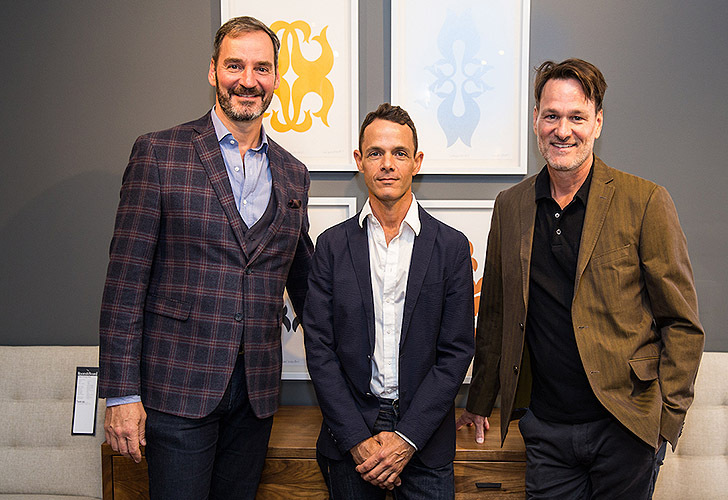 We recently hosted artists James Klein and David Reid of KleinReid, a New York-based design studio known for porcelain vessels, lighting, and ceramics, in our Chelsea and Washington, DC showrooms. 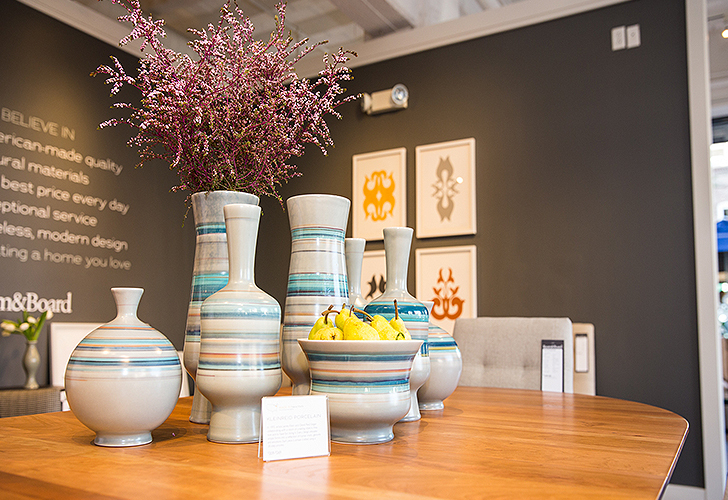 They infuse every piece they create with thoughtful design, fine craftsmanship, and lasting beauty. 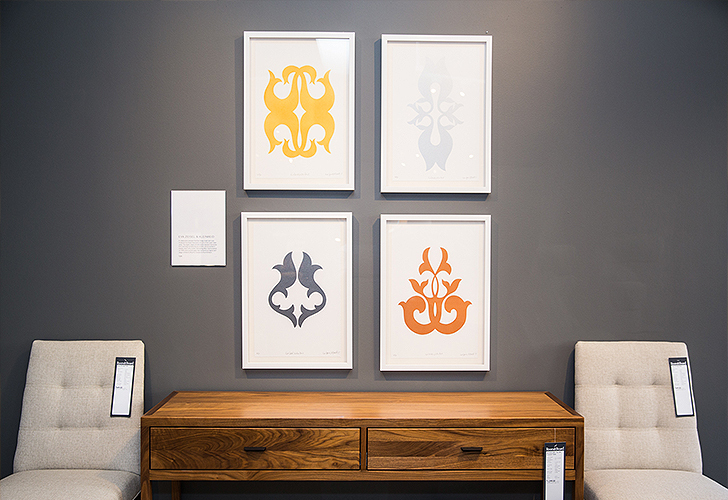 As proud partners with KleinReid for almost twenty years, we were excited to honor the duo and introduce their latest adaptation of prints made in previous collaboration with modernist icon Eva Zeisel: a collection of beautiful hand-screened prints called the Lovers’ Suite series, which are exclusive to Room & Board. 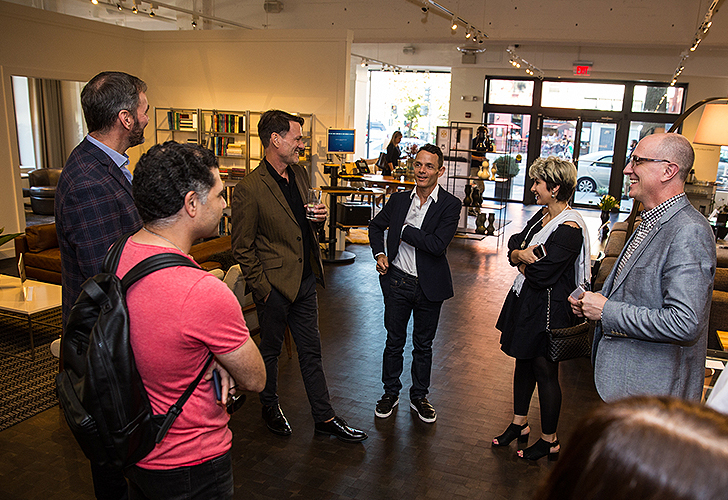 Guests had the opportunity to meet and mingle with the artists while exploring their pieces, artisan-crafted just for us. We also had a chance to sit down with David and James after the festivities to learn what makes their artistic minds tick. 1. What’s your favorite part about your job? David: The creative part. Coming up with new ideas, exploring new forms and glazes. Making thoughts real. 2. What profession other than your own would you like to attempt? James: Clothing design or pizzaiolo. James: Arresting. It should stop time. David: Effortless, honest and inspiring. 4. What do you find most rewarding about your job? James: Seeing a new idea or sketch on paper become a real object. 5. 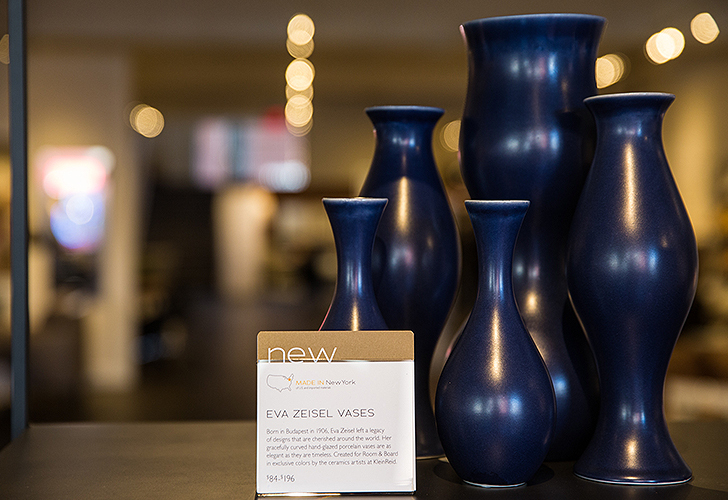 What was it like to work with Eva Zeisel? David: Fun! Amazing. Joyful. Inspiring. She taught us to design with honesty and love and without limitations. 6. What’s the best advice you’ve received? David: “What if losing everything was the best thing that ever happened to you.” Dramatic words from my good friend Nancy on a dark day during the recession. That advice really helped me let go and stop worrying. 7. If you could live in any city in the world, where would you choose? James & David: New York City. But now that we’ve spent 20+ years here, we’d opt for Napoli, Northern California or maybe Montreal. 9. Where do you go for inspiration? James: A rock by the ocean. David: Any museum, the woods, the beach, the desert. 10. Why do you like working with Room & Board? James: We’ve worked together for almost twenty years — that’s a long time now that I think of it! They support our design vision and vice versa. We appreciate their belief and support of American-made goods. Also, we work with really great and kind people there which makes everything that much better.